LBT Radiators represent the tradition of cast iron radiator with its timeless and elegant design. LBT radiators are the fruit of more than 50 years experience in manufacturing for Biasi. LBT Radiators made of cast iron, a material with a high resistance to corrosion which guarantees unlimited duration through time . LBT column radiators guarantee maximum reliability and are cast with EN GJL 200 UNI-EN 1561 cast iron, which is mechanically worked with precise tolerances and tested twice at a pressure of up to 6bar. The control of the leakage is made twice, firstly on the single element and subsequently on the whole, in a way to guarantee the accuracy of both gaskets and assembly. Production quality is ensured by CSQ. This institute certificate certifies that Biasi S.P.A has initiated and uses a quality system in accordance with the DIN EN ISO 9001 Standard. 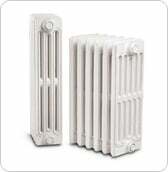 Unbelievable price on Cast Iron Radiators in Walsall (United Kingdom) company Biasi UK, Ltd..